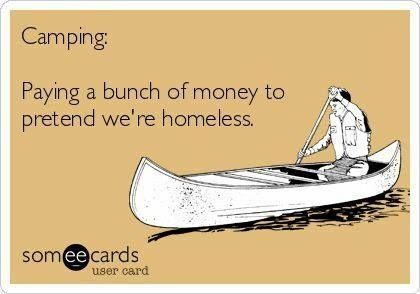 This is the other reason I don’t ever need to go camping. Sorry I lost my train of thought for a second. I got distracted by camping and Betty White. Back to my great news and how I am going to live for a REALLY long time. So a story broke today that brought so much joy to my little heart! Normally stories on the Internet make me want to adopt 25 dogs, move to Antarctica, and never interact with humans again. But this one was different. This story is about a 110-year-old woman who says the key to a long life is beer and shots. Three beers a day and one shot of scotch a day to be exact. All you fools with your eating kale and running marathons. You all feel pretty dumb right now, don’t you? Put the green juice down right now (no drink should ever be green unless it’s Saint Patrick’s Day anyway) and have a beer, or three! I am on the fast track to living a very long life and I didn’t even know it. Downing three beers and a shot every day is easy work for me. I wonder if I double it, will I live to 220-years-old? I’ll just quit my day job and make drinking a full time career. I can write a book about it and everything. I’ll be the Jillian Michaels for degenerates. Besides letting you guys know that you can expect posts from me for the next 70 years, this post also served as a way to get this blog back on track. Between being sad over dumb boys and stressing over my anxiety, I lost my focus a bit. But I am back on track and happier than ever now that I know I’m gonna live forever! I’m pleased to hear it! I remember reading about another lady over 100 years old, who said the secret to her long life was chocolate and not getting married. I can totally do this. True, a little boy talk isn’t always a bad thing. So all I need is beer, shots, chocolate, and not getting married to live to 100? That sounds super easy with the way my life is going right now! And you’re going to only live til 35 cause you just can’t hang. You’ll wind up puking the beer and somehow I don’t think that really counts. Gotta say, I’m pretty jealous you are living forever. Actually, I’m not really enthused about living a long time. I’ve always felt the same way as Tom Hanks character in the Green Mile. If I accidentally fried someone that I shouldn’t have and ended up living as long as he did, I would be kind of bummed. I mean who wants to live in this painful thing for that long. Around 70, I mean 18, I’m going to continue eating what I do and enjoy that until I choke eating on my last piece of stuffed crust pizza. No kale or exercise for me. Choking on a piece of stuffed crust pizza isn’t a bad way to go. I wouldn’t mind that. Not only is it not a bad way to go, I’m planning on it. Best way to go is how you are the happiest right? “Jillian Michaels for degenerates.” Hahaha–your posts always have one line that is just hilarious. I just read this on Be Like Waters blog. It was a shocker right?! I read somewhere though that one or two drinks of wine per day for women is considered healthy though. Did you see that too? I definitely saw the thing about wine. I cling to anything that tells me alcohol may actually be good for my health! I think we all get in these little funks sometimes and it feels like everything bad happens at once. But it’s really nice to move past it and realize that in general (like you said), things really are NOT that bad.